To download images, right click and save to your desktop. 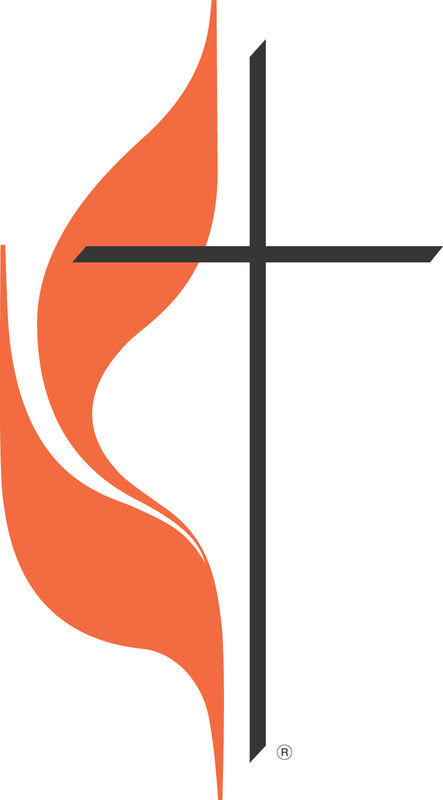 The Cross and Flame is the official insignia of The United Methodist Church. The Cross and Flame is a registered trademark and the use is supervised by the General Council on Finance and Administration of the UMC. It may be used by any official United Methodist agency, including local churches, to identify United Methodist work, programs, and materials. The insignia should not be altered or modified by those official United Methodist organizations that use it. Any commercial use of the design must be explicitly authorized in writing by an appropriate officer of the General Council on Finance and Administration. Permission to use the Cross and Flame must be obtained from the GCFA, Attn: Legal Department, Post Office Box 340029, Nashville, TN 37203-0029; phone 615-369-2334; fax 615-369-2338. Put the registration mark ® below the Cross and Flame, preferably to the right of the cross. On your web page, as close as possible to the Cross and Flame, print the following: “The Cross and Flame is a registered trademark, and the use is supervised by the General Council on Finance and Administration (GCFA) of the United Methodist Church. Permission to use the Cross and Flame must be obtained from the GCFA, Attn: Legal Department, Post Office Box 340029, Nashville, TN 37203-0029; phone 615-369-2334; fax 615-369-2338.